The sequel to one of the most popular online slots of all time, Thunderstruck 2 is a 243 Ways slot with four different free spin bonuses and a special Wildstorm mode. It has a top line pay of 1,000 coins and a top overall prize of a big 2,430,000 coins! 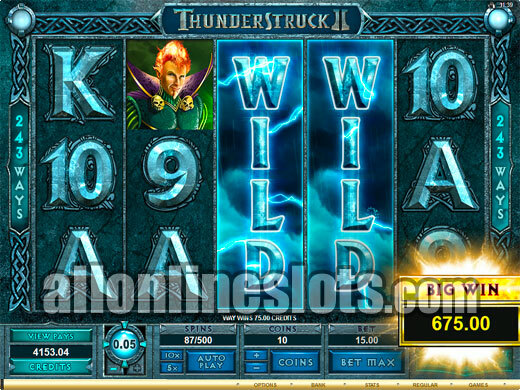 In what may be the biggest game release of 2010, Microgaming have released the sequel to one of the most popular online slots of all time - Thunderstruck. Launched in 2003 Thunderstruck has remained popular ever since so the sequel has a lot to live up to. The good news is that it not only lives up to the old game but in our opinion is one of the best online slots ever released. 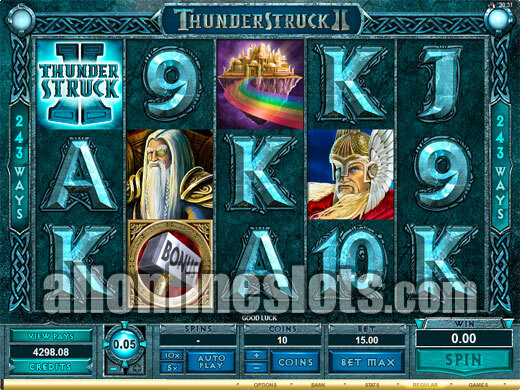 Thunderstruck II uses the 243 Ways format which means you have a lot of ways to win. There are no pay lines, instead every symbol is paid like a left to right scatter. This makes it easier to hit those all important five of a kind wins. Instead of betting on lines you just select how many coins you would like to play per spin. 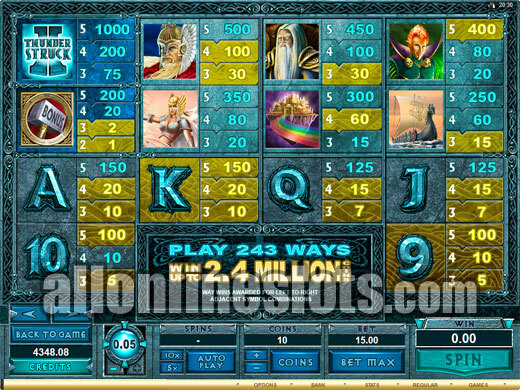 This ranges from 1 coin which is a 30 credit bet to 10 coins which is a 300 coin bet. Each additional coin played multiplies your win by one so at max bet all wins are paid a X10 the pay table value. As you would expect the game theme is the same as the original with a few extra additions. 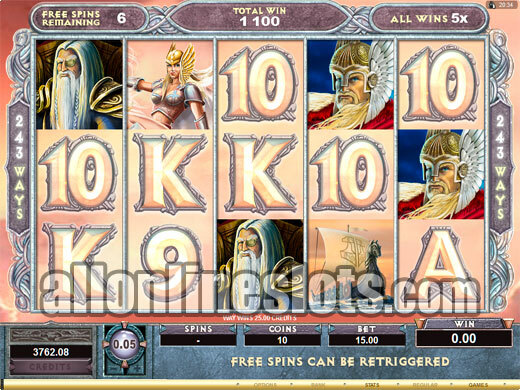 You still have Thor on the reels and he is joined by Valkyrie, Loki and Odin. 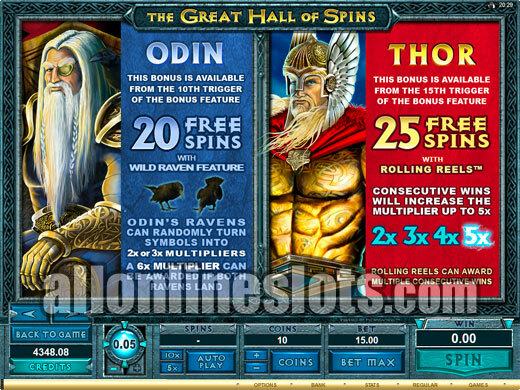 Gone are the iconic scattered rams which are replaced by scattered hammers for the free spins. 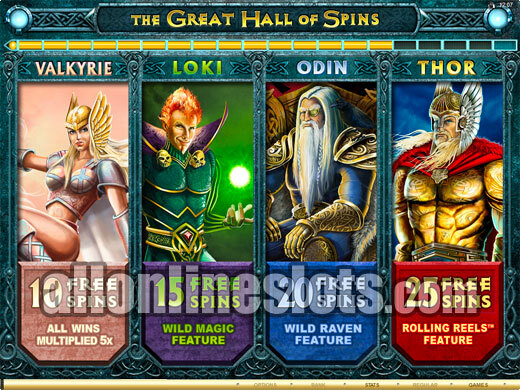 Speaking of free spins, Thunderstruck II has an all new way of awarding free games. As usual you need to get three or more scattered hammers to activate the free games but there is a twist. 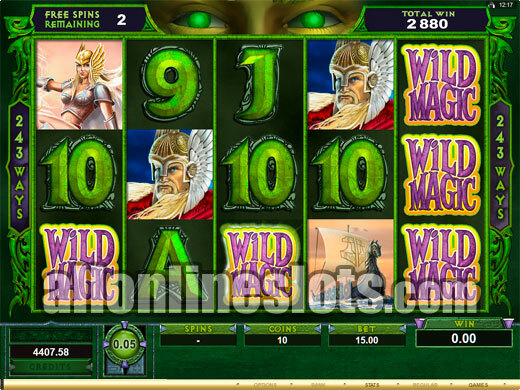 The type of free spins available changes based on the amount of times the feature has been triggered. This is known as The Great Hall of Free Spins. On the pay table screen there is a meter showing how many times you have hit the free spins. Each time you light up a new section of the meter and every five times you hit the free spins you unlock a new type of bonus. This is a really unique feature that works particularly well online. Below are the details of the various free spin features. Once unlocked you can select which type of free spins to go for which gives you a lot of choice in terms of which bonus you like better. All have their pros and cons so it is really a personal decision which one you like the best. 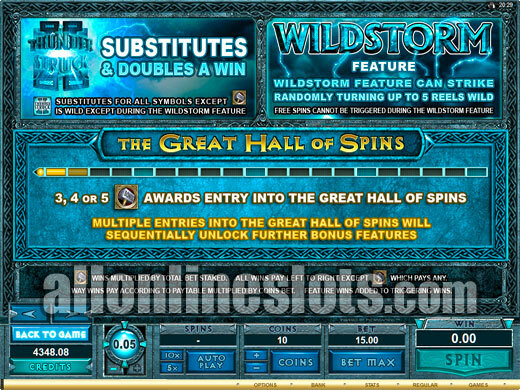 On top of the great free spin options there is one feature which makes this game spectacular - the Wild Storm Feature. 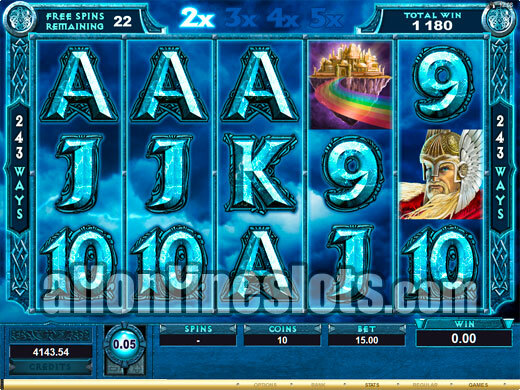 This bonus triggers at random and results in Thor appearing on the reels and clouds appearing at the top of the reels. The thunder then sounds and whole reels turn wild. You can get between one and five wild reels which means this feature is the key to the games biggest pays. If you manage to get a whole screen of wilds you win the maximum pay 243 times! At maximum bet this pays a big 2,430,000 coins or a big $24,300 even at the penny coin size! 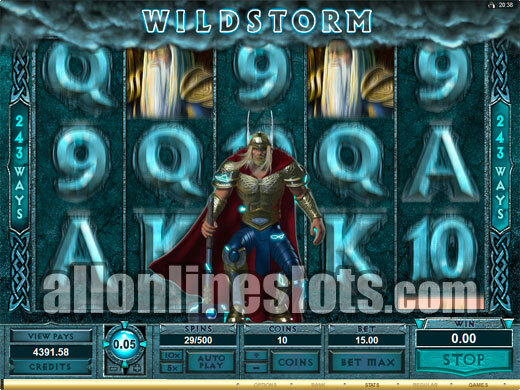 We were a bit skeptical that Microgaming could release a sequel that would live up to the popularity of the original Thunderstruck but it is clear that Thunderstruck II is one of the best online slots ever released. 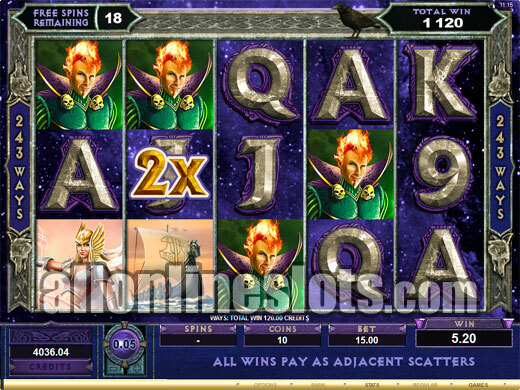 Quite simply if you like slots this game is an absolute must play.